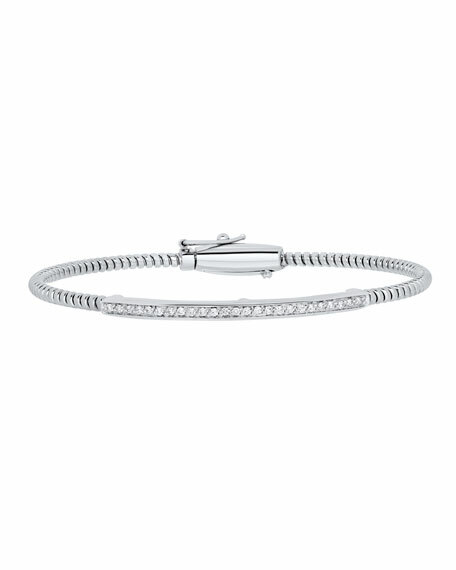 "Tubogas" bracelet by Alberto Milani. 18-karat white gold spiral cuff. White diamonds in channel setting.